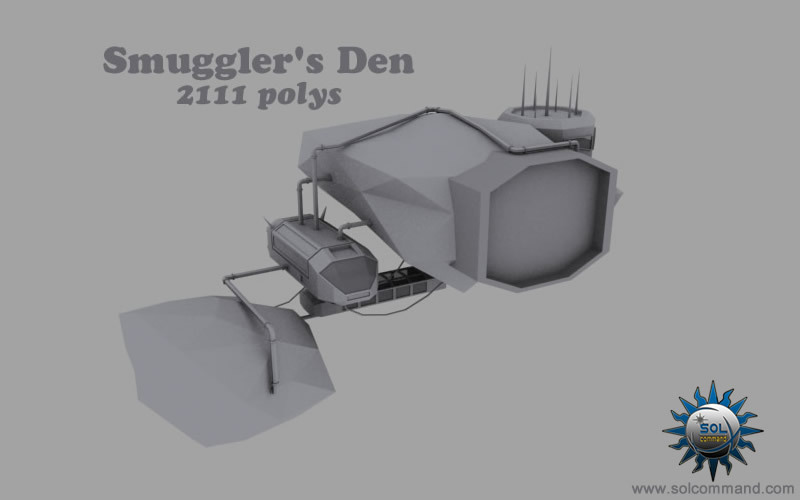 Every respectable smuggler needs a hideout to stash his goods and this particular smuggler chose a very original design for his hideout. 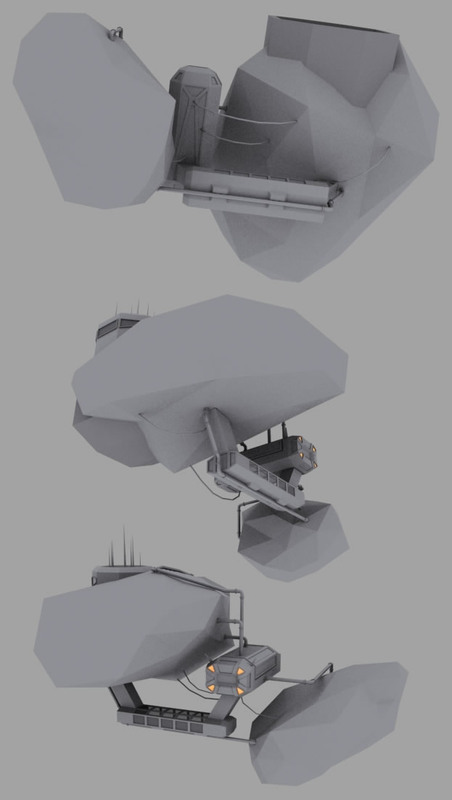 He integrated one of his stolen ships into the asteroid structure and uses the ship's systems to supply energy and filter the air on the station. Where can I download this at? On any page, at the upper right there's a "Free Download" button. That will get you to my server where all the models are arranged by year of production. You should look for this one in the "2009" folder I believe.